DENVER, PENN. 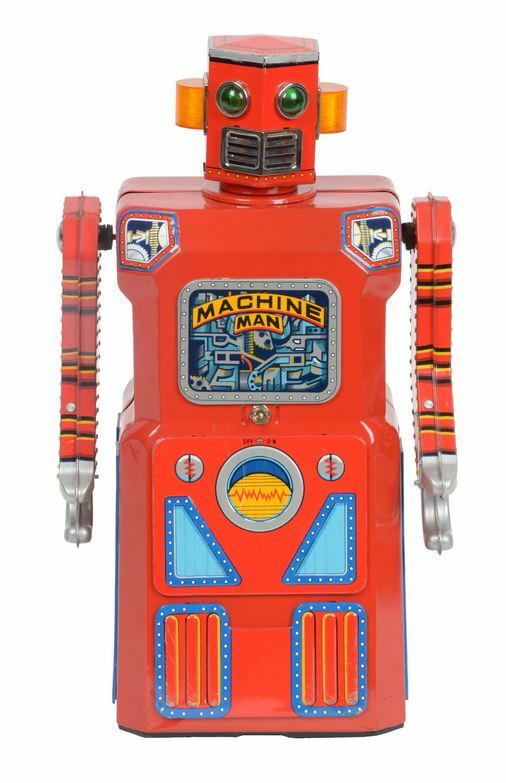 — A Machine Man robot, the most sought-after member of Masudaya’s “Gang of 5” series, reached $86,100 at Morphy Auctions’ March 13–14 Toys, Dolls and Figural Cast Iron sale. In provenance and condition, the example had everything going for it: graded as mint-near mint condition and consigned from its original owner. The Japanese toy, in working condition with functional movement and lights, would best its $80,000 high estimate. Watch for a full sale review in a future issue.